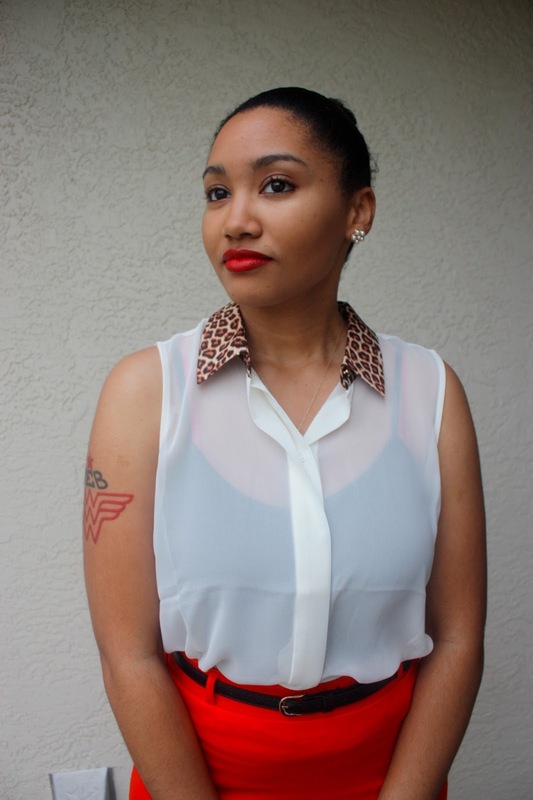 This week, I am participating in Eboni's Style Me Friday Link Up featuring the pencil skirt. I've been planning what to wear all week and just a couple days ago, I picked out this cute top from work. It also comes in black but I chose white because it's more Spring-y. Leopard goes great with red so I paired it with this belted pencil skirt. I actually bought a bunch of pencil skirts recently for $6. How can you go wrong with that?! 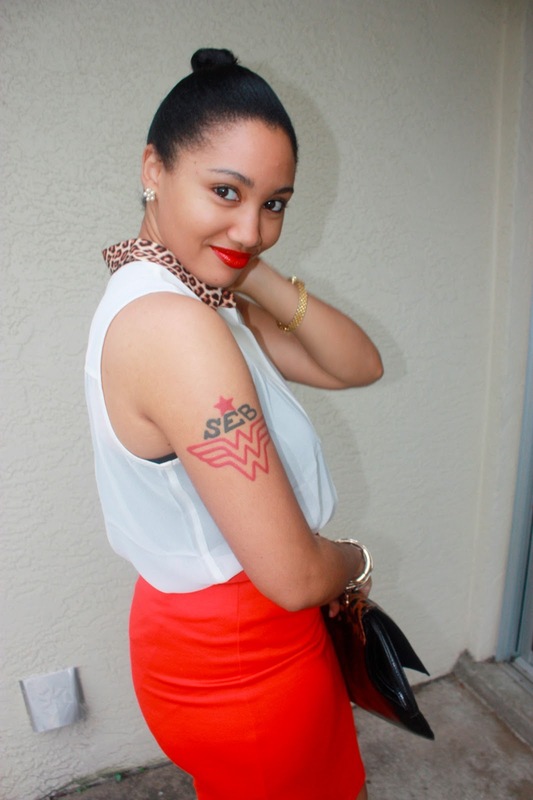 And let me say how cute I am with red lipstick! Probably my favorite color to wear. By the way, I did NOT wear these heels. I wouldn't last 30 mins wearing these at work. Instead, I wore the black bow flats that I wore in my last post. But these looked cuter and they're sitting in my closet collecting dust. Don't forget to follow me on Instagram for exclusive pics that aren't posted here! Love it! You look hot. Love this look! The red is very glam! Love the combination. I've been searching for leopard print platforms for a while. Now i know where to look. You look amazing,love the outfit! I love this classy look! 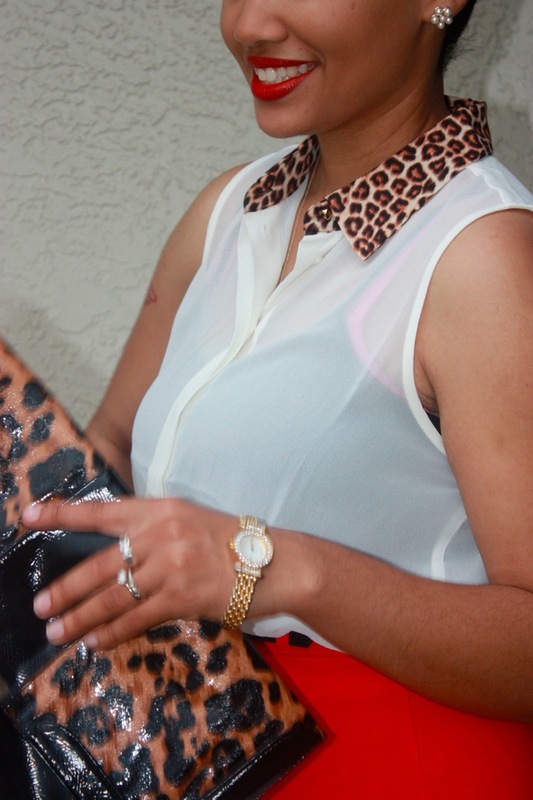 Red and leopard is always great together. gorg face! 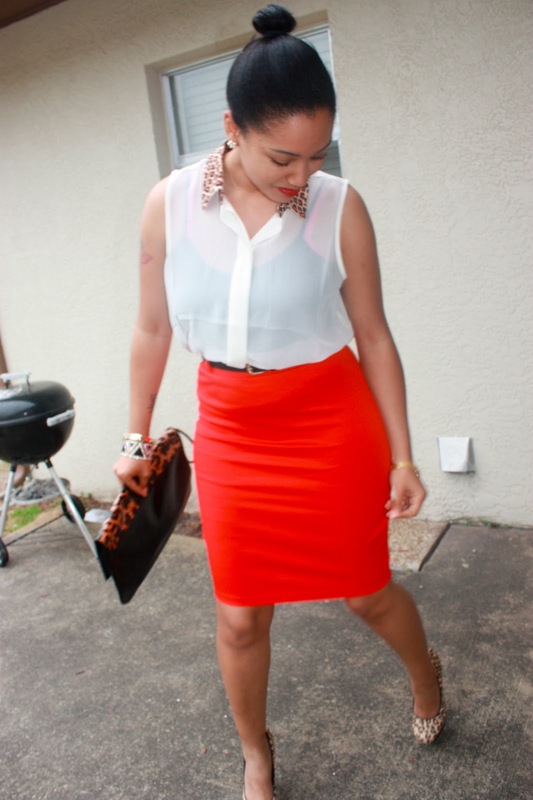 the skirt is beautiful & love the shoes too! You look hot! I love this outfit. The little leopard touches are perfect. 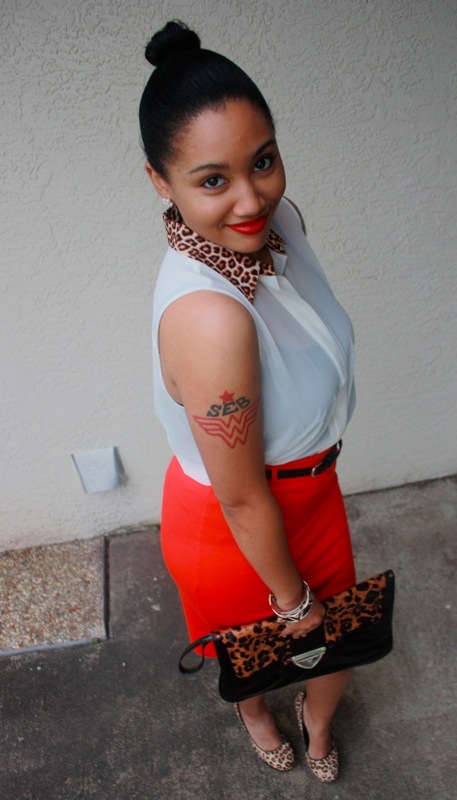 Love the outfit and mix of colors and print! Daring and it works! Loved taht skirt and the color! great choice of makeup! Your blog is amazing! I would be so happy if you could check out my blog and say what you think!! and maybe follow?! Thanks so much! xoxo from MEXICO! 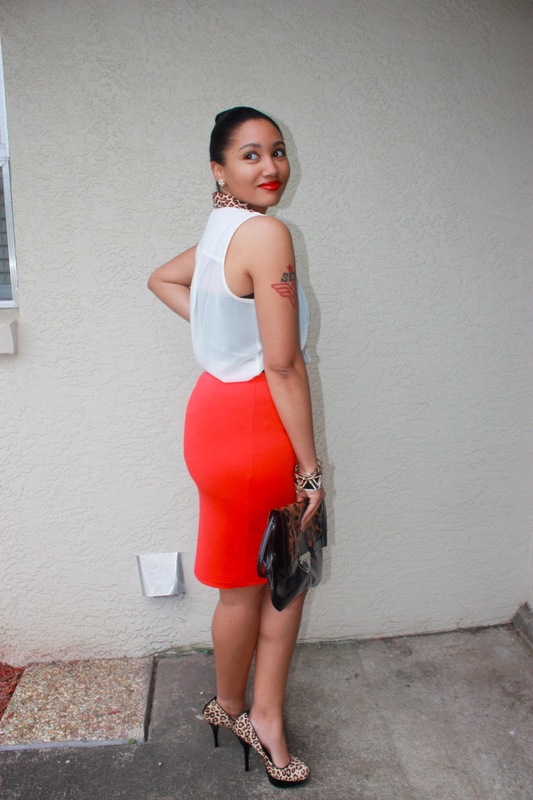 you look amazing in this pencil skirt look! That bright orangy red is gorgeous on you..love that color! Very interesting content! I am looking forward to more, and following you! very glam outfit,love the pop of clour too! Interesting Blog! Do visit my blog and If you like,follow on GFC and Bloglovin,Instagram,Twitter and i'll surely follow back on all!